Capt. Stan's Deep Sea Chronicles: Get Ready for the 141st Kentucky Derby Race this Saturday! Get Ready for the 141st Kentucky Derby Race this Saturday! 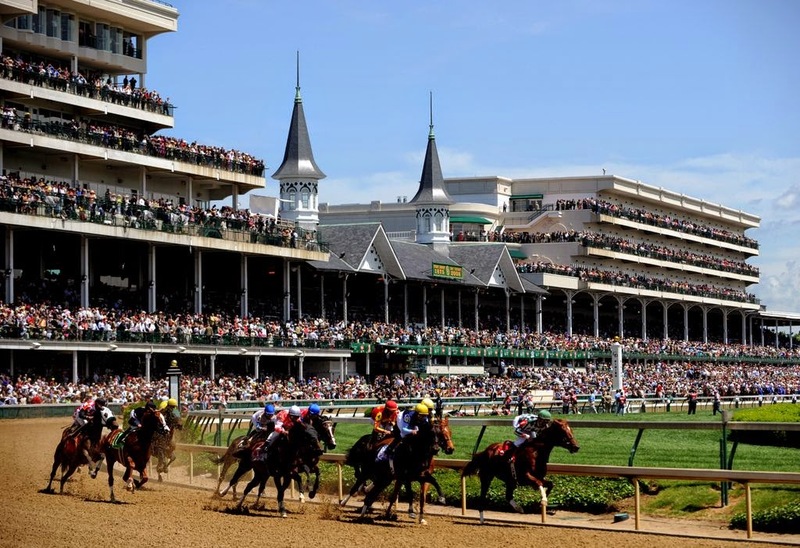 The $2 million-guaranteed Kentucky Derby is having its 141st race this Saturday, May 2nd, at the legendary Churchill Downs racetrack in Louisville. The most popular stakes race in North America, it gathers only those 20 horses that have scored the highest overall points after 35 races across the nation. With that in mind, it goes without saying that these competitors will represent the top of their game. Of them all, American Pharoah is widely cited favorite, with 5-2 odds despite his No. 18. post. Having won four starts by a combined 22 1/4 lengths – including an eight-length victory in the Arkansas Derby – he has a lot going for him. Another favorite is No. 8 Dortmund, whose undefeated six starts includes a victory in the Santa Anita Derby. Like American Pharoah, he was trained by Bob Baffert, who has three ace wins under his belt. The No. 2 post is occupied by the widely favored Carpe Diem, who has one at various distances and ranks among the fastest horses in the race. Although American Pharoah has it comparably tougher than its runners up – only Gato Del Sol has one from that position, in 1982 – he has the advantage of being ridden by Victor Espinoza, responsible for winning last yea’s Derby on California Chrome (No. 5). No. 20 won’t be a slouch either, as it will be occupied by the appropriately named Far Right, ridden by 2005 Derby winner Mike Smith. It is worth keeping in mind that the No. 5 and No. 10 slots have each had nine Derby winners with the No. 1 and No. 8 having eight winners each. That leaves a lot of different viable contenders for victory. Needless to say, The THERAPY-IV will be actively engaged in what will no doubt be an exciting race. Did you know you can watch the Derby, and pretty much anything else, aboard our Miami Beach Deep Sea Charter Boat? That is because our award-winning Miami Deep Sea Fishing charter is equipped with the latest comforts and amenities, in addition to top-notch fishing and angling gear. Learn more by contacting 305-945-1578 or info@therapy4.com. Deep Sea Fishing is a Gift for All Occasions! Happy Cinco de Mayo From The THERAPY-IV!